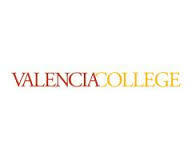 I have been a Valencia College faculty member since 2007. I am an adjunct EAP Professor at Osceola and West Campuses, and I work as a Writing Center Instructional Assistant. I began teaching at Valencia in the Center for Global Languages in 2007. I became an EAP professor in 2012. I have a Masters Degree in Teaching English to Speakers of Other Languages. I also have two Bachelors Degrees: Spanish and Business Marketing. I enjoy teaching students from all over the world, so that I can learn about different cultures. My goal is that every student of mine partners with me to gain the knowledge of the English language, learns to appreciate America and its culture, respects others, and graduates successfully, in order to have the best future possible. When not teaching, I enjoy spending time with my family, exercising, and swimming.